At the end of May I barely had any empties to discuss. I decided to wait and combine them with the following month of products as I did not think that I would actually accumulate that many more. But clearly I was mistaken and ended up with a rather large collection of things to discuss. Generally facial products last me a very long time. Whether that be because I am a little slack at using them or because such a small amount is needed at a time. But by the time I have finished using a product up I either know whether I love it or hate it and what my skin actually thinks of the stuff. This mask is super cooling on the skin when you apply it and that helps to instantly soothe the face and feel like it is going to help with any redness. The three things it claims to do is cleanse, exfoliate and purify which are three words that I find a bit frustrating when put together. A dictionary definition of cleanse is to make something thoroughly clean which to me means you are naturally pulling out all the dirt that ‘exfoliating’ would do and if you are making something thoroughly clean then you would expect it to be purified? To me you basically have to have one to have another and it is just a deep cleansing mask rather than a 3-in-1 treatment. I found that this stuff had quite a strong smell. The scent partly reminded me of those refresher tablet sweet type things but it also overwhelms me when it is stuck under my nose drying out and doing its job. And I can completely imagine the smell being too much and putting people off from purchasing it or using it. The product itself starts off as a very pale blue and as it dries it heads a little more towards a white tone so you can easily tell when it is dry enough to remove from your face (if it becoming like cement and making it impossible to move your face is not enough of a sign for that). Regardless of how much of the product I put on my face from a thin coating to a thicker one I find that this mask does the same level of job at the end. It has tiny little beads in there, presumably for the exfoliating thing, but to get them to move around your face and do anything you would have to do some seemingly unnatural rubbing with it. The label on this works the same way as a lot of The Body Shop labels do where you have to peel one section to get more information or the ingredients etc. But for this one the instructions for use did not have any British writing so all I ever knew was 10-15 minutes because of the numbers and understanding French enough to figure it out. The instructions are available on the website but it is still a bit frustrating to not just be able to read them directly from the label. 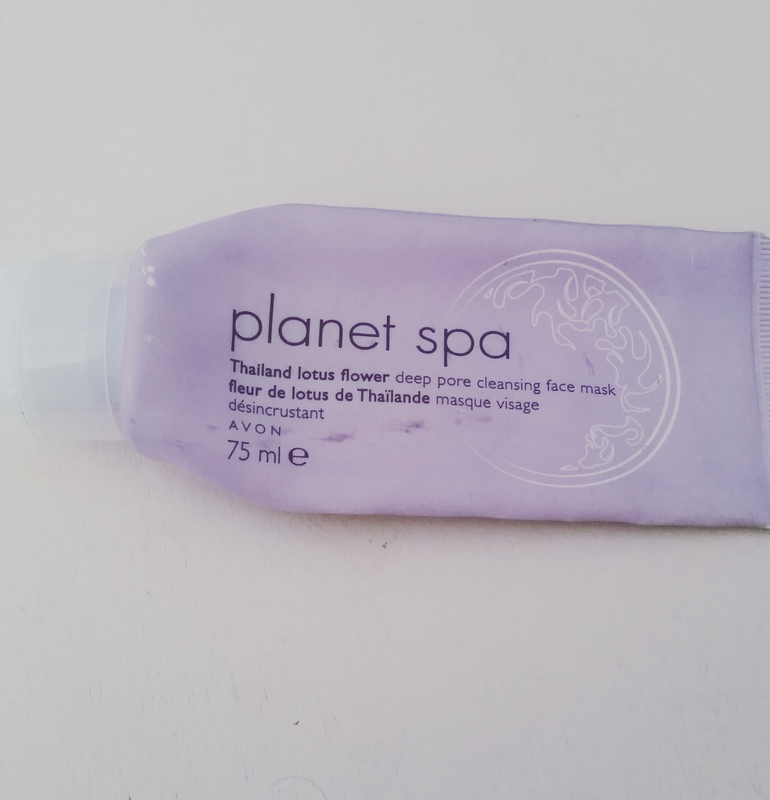 So whilst this product smells good and is soothing on the skin I find that it does not do as much as I want. It does not seem to actually pull the impurities out from the pores very well and instead just takes the top layer of gunk away. I feel that for the amount that is costs to buy, even when half price, is just not worth it for the benefits that it provides. 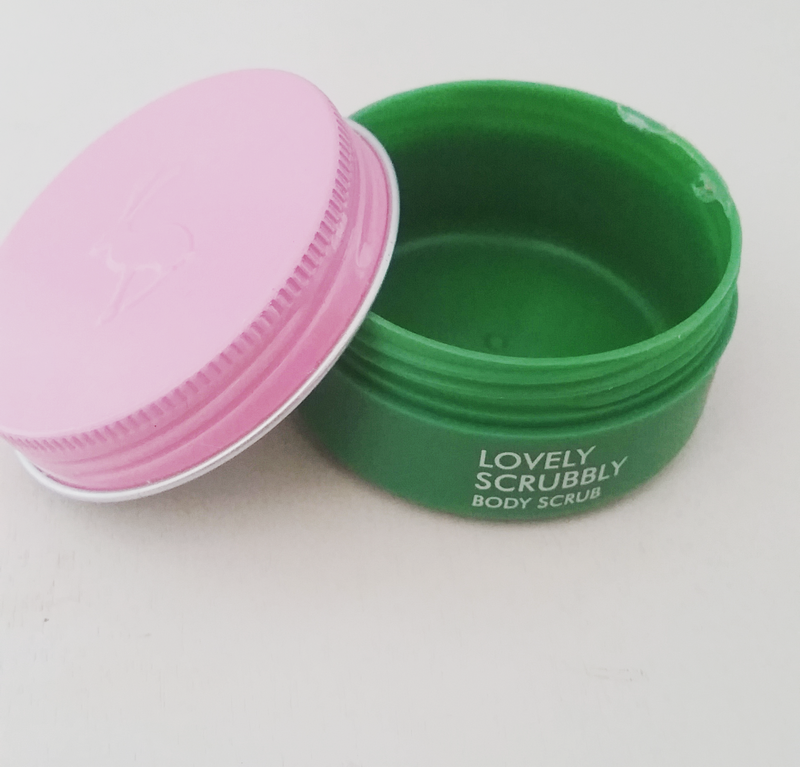 It was nice for the initial effect after taking it off but it did not do anything useful for the whole day or the following day and ultimately I have had better masks in the past that have done more for longer for less money. If you want to find out a little more about it then it is available to purchase on The Body Shop website and it is usually available to buy in store. Just in case you were in any doubt I did not use two face masks up in the space of these two months. I have had them both on the go for a fair while and normally if I do one I can convince my parter to do one with me too. This mask is a great one for if you are in a bit of a rush or know that you need a skin fix but do not have the time to have a real sit down and pamper as from application it is only supposed to take five minutes to dry and you just need a thin layer of the product. Much like the last one it starts out as a coloured mask, a light shade of purple, and then becomes a dried down white powder that if you are not careful will end up crumbling all over your face and down your clothes. But it is a useful indicator to knowing when it is dry and ready to be removed. 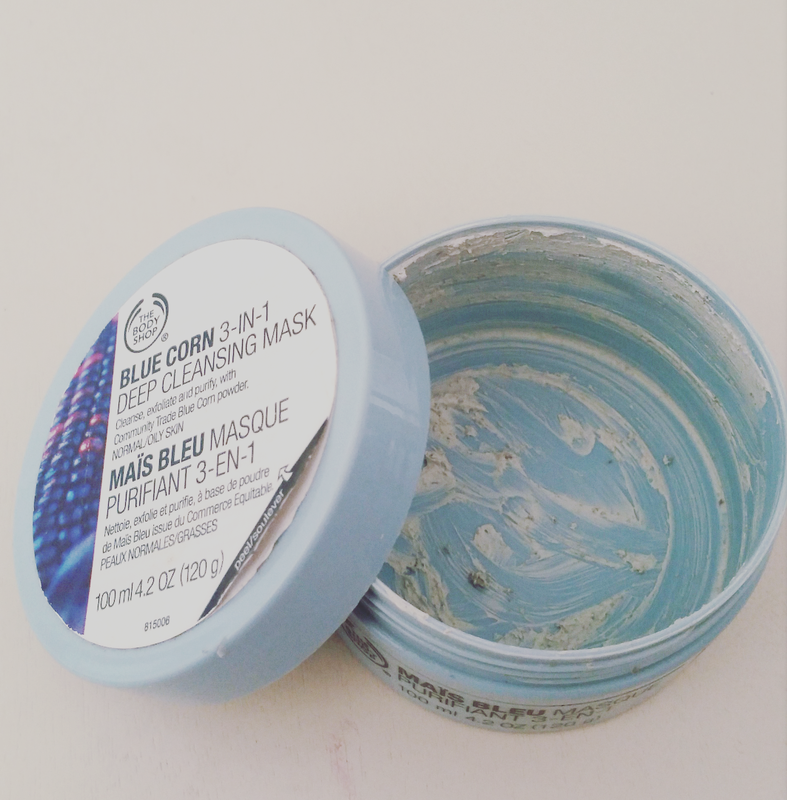 It is one of those masks that is quite satisfying to watch whilst it is on your face as you can see it pulling the impurities and nasty stuff from your face and rising to the top of the mask. With this happening it makes it feel like it is working a lot more and more worthwhile using in the first place. Removing this one from your face can take a little bit of time though. The bulk of the product is not at all difficult to get off with a bit of warm water on a cloth or flannel but it can leave what feels like a bit of a film on the face afterwards so you end up going in and washing with water several more times. The mask does feel very cooling and soothing to apply and after removing it redness and puffiness does seem to have decreased and faded whilst pores seem more empty. In general this one really makes the face feel very clean and fresh for the rest of the day and into the day or two afterwards. I find though that my skin then tends to react to it a little bit after that and the amount of oil and such seems to massively increase as my face attempts to balance itself back out. I would generally recommend this mask or one similar to it for people with blocked pores as it does do the job and because of the tube that it comes in it lasts a long time without contamination issues or it drying up. A repackaged version of this mask only seems to be available in a gift set box on Avon at the time of writing. I feel like I mentioned these face wipes a little while ago in a previous empties as I recall having two packs to work through. 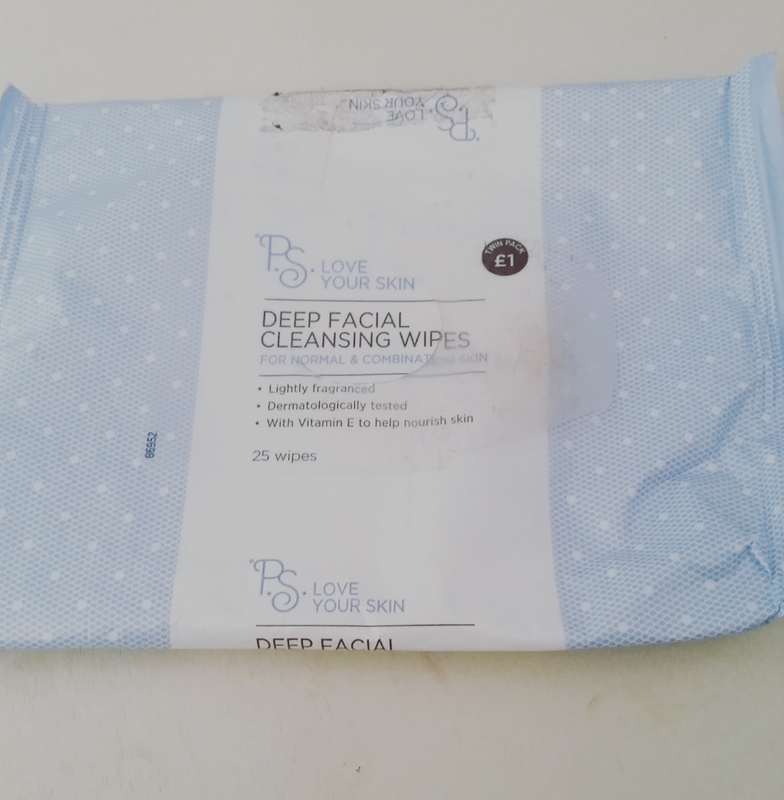 Initially I thought they worked fairly well and them having moisture really helped to remove make-up and dirt from my face but the longer I used them the less effective I felt that they became. Not in the sense of them drying up but rather I just seemed to have to work them a lot more to get my face to a state of being clean enough to go in with my proper facial cleanser. Further to that they claim to be for normal to combination skin and have vitamin E to help nourish the skin but I found that they just ended up making the oily bit of my face more shiny and the dry bits increasingly dry and flaky. My nose was causing me serious issues and I wondered why but shortly after stopping these it calmed back down again. Of course it could be a coincidence but seeing it slowly get worse during using these I feel that it probably was not. These are available to buy in Primark and as mentioned you get two packs of 25 wipes for £1. I got a few samples of this back last August when my delightfully lovely mum got me the Do The Hoola kit by benefit and I was really interested to give them a try. My eyes are always rather on the puffy side and looking pretty dark and lifeless at the same time so the chance to use something that would brighten and fade had the chance to be a match made in heaven. The main reason this helps to fade away though is not because of some great miracle ingredient but rather because it is slightly yellow toned and will therefore naturally counteract a bit of the darkness. But the biggest issue I have with this is something that I believe to be quite a personal issue with it as nobody else really ever mentions it as a thing. I find that it massively stings my eyes and makes them water and burn so much. It obviously does not go anywhere near to my actual eye and it has at no point come in contact with my eye or even my lower eyelashes but every single application it caused my eyes to blur and everything to be truly horrible for several minutes. 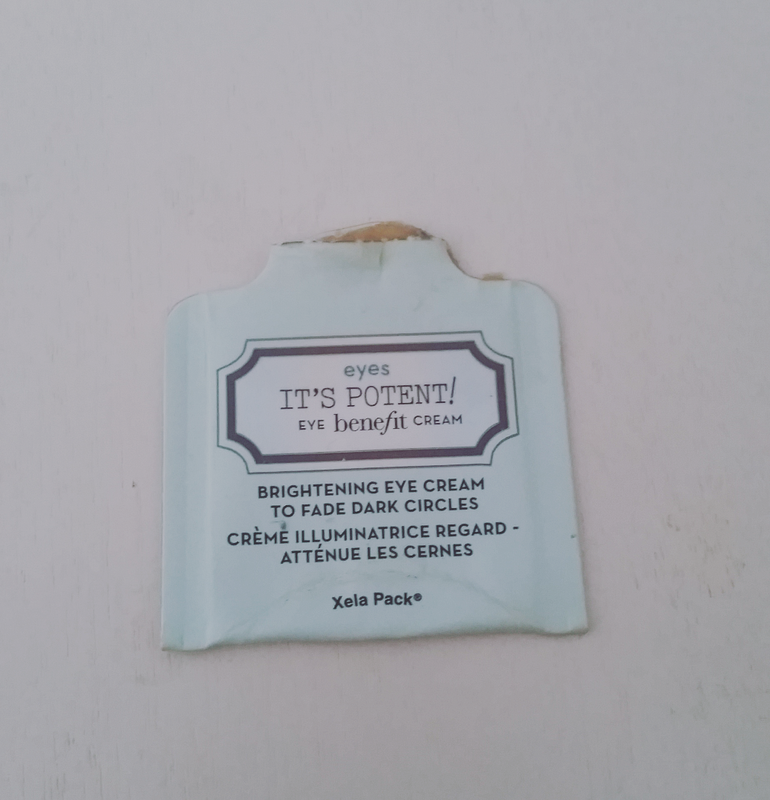 because of the way that I reacted to the product and the fact that it did not seem to do anything that a good moisturising cream and concealer can do I would not rush to recommend this to anybody especially with the rather hefty price tag to go with it. Want to find out a few more specific details and what Benefit claims is good about the product? You can find it all on their website or at stands in Boots, Debenhams and many other good cosmetic retailers. Just like face products I tend to go through phases with body care and looking after my skin as much as I should. I would love to be one of those people that can pop out the bath or the shower and honestly say I use all these different products for different things on a frequent basis but honestly I am not that person (at least not right now in my life). These crystals have vitamin A, B and C infused into them which is fabulous if you are interested in giving your skin a little bit of a direct boost. These vitamins also partly come from the mandarin and grapefruit that are used to infuse these crystals with a bit of scent. Having said that though these really did not seem to have any scent to me at all. I even braved giving them a direct whiff out of the plastic package that they were in within the box before putting them into the water and they barely had any smell at all. I was expecting to end up coughing and my nose tingling but that did not happen so I was fairly disappointed by the fact they would not fill my immediate vicinity up whilst I was giving them a go. I always find foot soak and crystals to be a bit of a rip off and a myth because to me the reason you end up with softer feet and your feet feeling brilliant is more to do with the warm water you have rested your feet in rather than the actual products in the water. But I guess if having these products encourages you to have a foot pamper then go right ahead (I got them as part of a set at Christmas so thought I should use them up to stop them taking up room on my shelf of products in the bathroom). In general I am yet to find anything by this brand that wows me or makes me think that I would go and purchase something from one of their ranges to give a go on my own steam because it is pretty meh and a fairly average price. If you have anything by this brand that you love do leave a comment below and I might be tempted to give it a go! 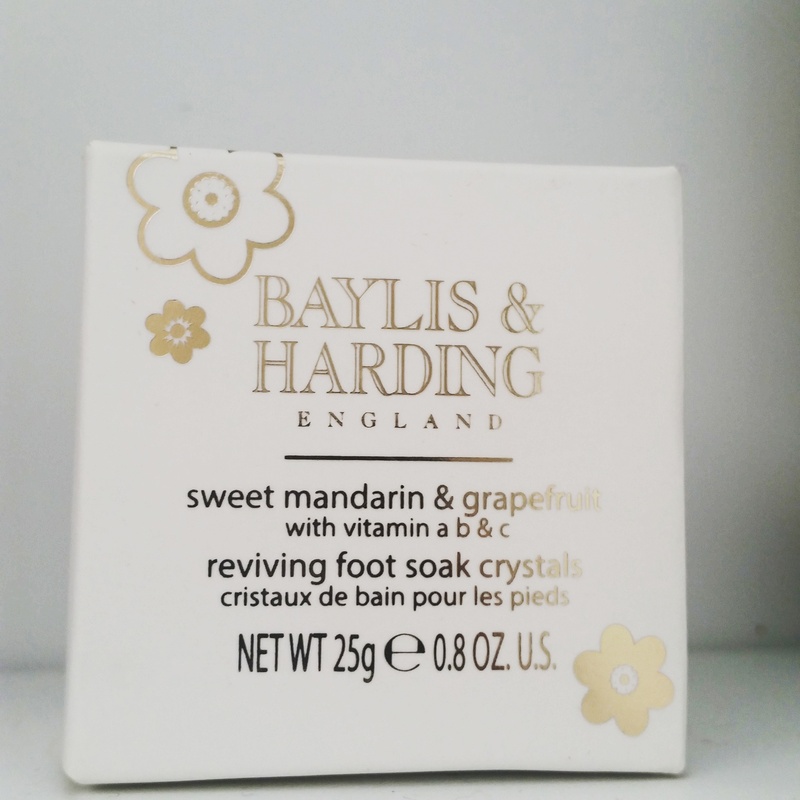 This scent of Bayliss & Harding products, as well as the foot soak in gift sets, is available through their Amazon store. This stuff has a floral scent that you would not expect when having a look at the label as there is no mention of it being infused with any particular smells or fragrances. But when you get past the unexpected pong it is not really that bad. It is not actually a strong scent at all and once it is applied and on the run you can barely even tell that it is there. It had fairly small beads inside for the scrubbing action to be possible but they did not seem very effective. This might be because of how quickly the product became a watery mush with the type of tub it came in and the difficulties of not being able to go in with a dry hand. But even if I did happen to get some on a dry hand it really just did not seem to do a lot or be at all scrubby on the skin in the way you would want from something specifically called a body scrub. With the type of tin that it comes in, the formulation of the product not reacting very well to water, the effectiveness being way down low on the scales and with the floral scent I would not recommend this to anybody in the future unless they want a super mild scrubber but they do not mind using a scented product. This product does not seem to be available to buy on its own but rather in gift sets like this one. This was just a one use sample but because of the walnut shell I thought it would be super abrasive on the skin and possibly even a little too sharp for it be at all enjoyable when using it. 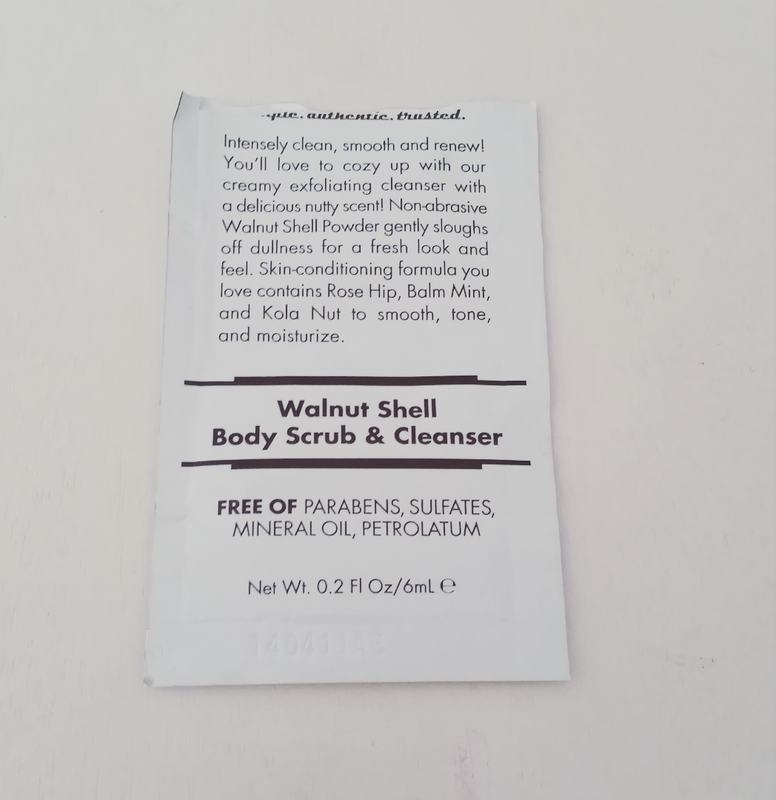 I was also a little nervous because I have a mild allergy to walnut and I was unsure as to how my legs would feel about walnut shell being rubbed all over them. And I was right. The little bits of shell were really sharp when being moved across the skin. It did not actually do that good a job of exfoliating the legs and helping to make them feel smooth but instead just irritated them by leaving little red scratch marks all over them. I am sure that this concept can be carried out really well and that walnut shell can be used as a great product in a body scrub but the way this was executed was not at all something I can imagine that many people wanting. Also the smell was not nutty or anything like that but more woody and on the whole a little strong and unpleasant. I just can not really find anything to recommend about this product unless you really like giving your legs a good old scratch. If this sounds good to you then you can find out more and get details on where to purchase it here. I saved this section until the end because I get that people talking about the most essential of items can be a little on the dull side but at the end of the day these are all things that we use up and are constantly on the search of the perfect product for because of the fact we have to use it every single day. When somebody says to me Right Guard I tend to think of it as a very male orientated brand. 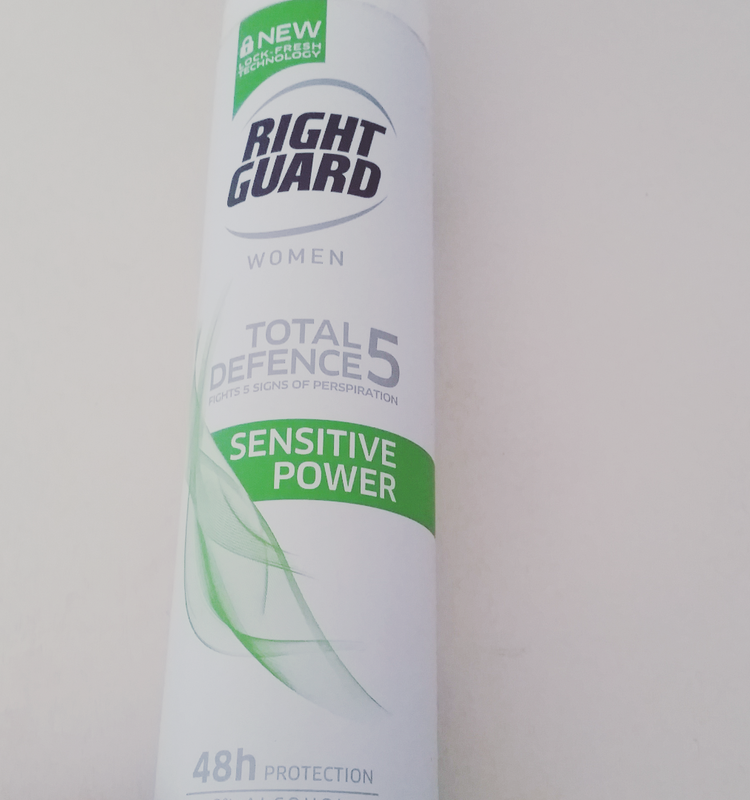 So on spotting them doing a antiperspirant for women I thought I would give it a try as I imagined it would pack a punch in all the areas that matter. It did not have a very strong scent which I partially like when it comes to a deodorant because it does not interfere with your perfume and I find it is less likely to choke me whilst it is in the air immediately after spraying. But at the same time it makes me worried that should I sweat a little too much that the pong is going to come through a lot quicker because there is nothing to mask it. Of course in theory if a product like this is good enough at its job and does what it claims then you should not need a back up scent just in case something goes wrong. And whilst this one did that I am not sure it was the right one for me for a number of reasons. It was sensitive and soft on the skin and that really helped my underarms to feel less dry and horrible. But it did feel a bit wet on application, I know that does not make any sense from a spray, and I do not know why. Whenever I applied it, however I applied it, I always felt like I wanted to wipe my underarms immediately after giving this a spray and that just is not a feeling that I like or want to have to deal with. When I purchased it I got it on discount so I can handle the amount that I paid for it given the size of the container but I would not pay the full price for it given how it made me feel less clean and a little sweaty before my day had even begun. Find out more about the product and the claims on Right Guard’s Website. If you have read any of my previous empties posts you will probably have realised by now that me trying to find a toothpaste that I like enough to repurchase is like looking for a needle in a haystack. They are either too minty or not flavoured enough, leave a funny film in my mouth or have a horrible texture. There is always something to put me off of going out and finding that toothpaste again. So this time I decided to go for an Asda toothpaste, not the cheapest on the market but certainly nowhere near the most expensive either, and hoped it would live up to at least some area of my expectations. 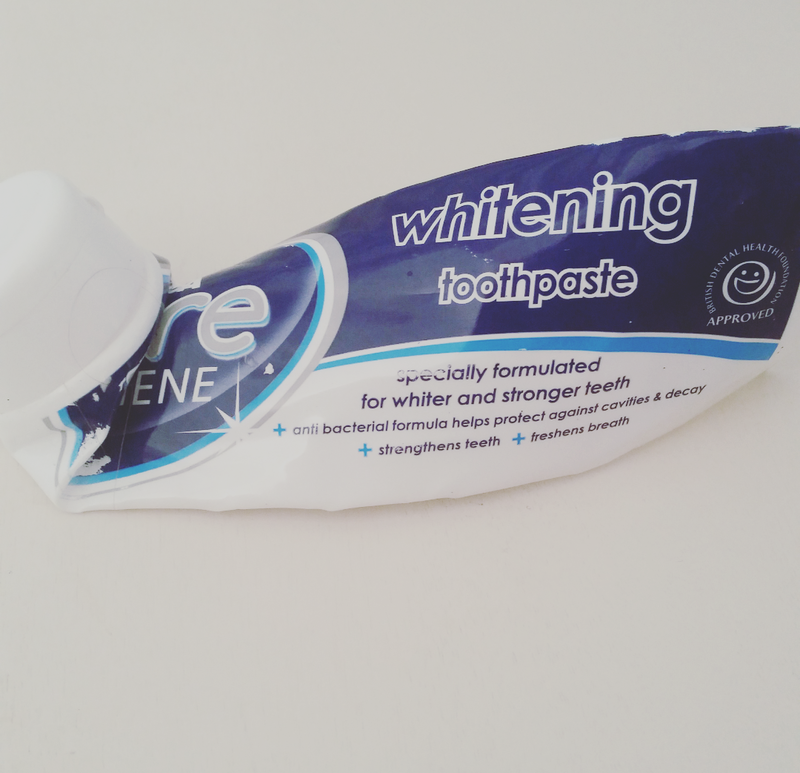 This toothpaste is not as bad as some others that I have tried and it had a reasonable level of mint flavouring (although it perhaps did not last as long as I would have liked as an after taste). On the whole it felt like it helped to clean my mouth and remove all the things we want to say goodbye to when it comes to brushing our teeth. But. Yes c’mon you knew there was going to be a but here. This is one of those whitening toothpastes that leaves a film in your mouth and manages to make your tongue look a little white and gross too. I really wish that there were more whitening toothpastes that focussed on the teeth and did not then go about coating your whole mouth in a layer of white activating ingredients. Nobody looks attractive with a filmy white tongue however good their teeth are looking (and hey this stuff did not do anything on the whitening front other than on the tongue). To find out more about this toothpaste visit here. 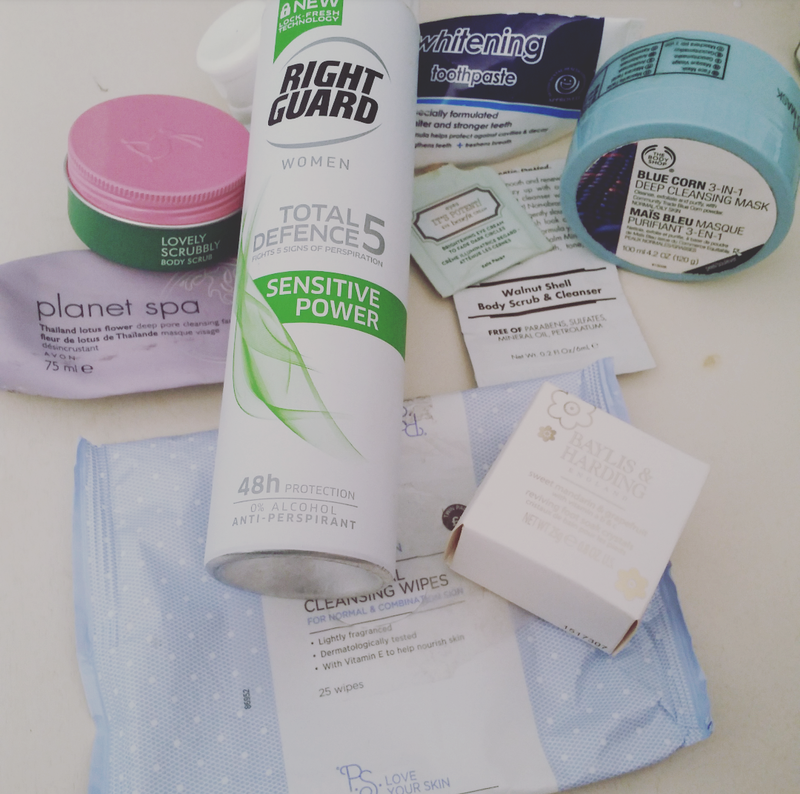 This entry was posted in Beauty, Declutter/Empties, Empties/Declutter, Lifestyle and tagged bblogger, bbloggers, Beauty, beauty blog, beauty blogger, beauty bloggers, beauty product, beauty regime, beauty review, body, body scrub, bodycare, face, face products, gift, Health, healthcare, lblogger, lbloggers, life, Lifestyle, lifestyle blog, lifestyle blogger, lifestyle bloggers, London, Make Up, product review, review. Bookmark the permalink.